I spent most of my childhood years living in an old lakefront in beautiful Avon Lake, Ohio. We swam all summer, fished spring and fall and fell asleep to the sounds of waves lapping against the shoreline. I was lucky enough to have a grandfather who spent the warm months in a cottage on the north shore of Manitoulin Island in Canada. We’d spend days catching frogs, swimming in the freezing North Channel (can’t imagine doing that now), snorkeling and hiking the woods. As an adult I have the privileged of spending many of my working hours along Northern Central Ohio’s islands, rivers and shores. Beautiful coastal communities like Vermilion, Huron and Port Clinton as well as island communities like Put-in-Bay on South Bass Island, Middle Bass Island and Kelleys Island have become my new stomping grounds. I love it all! My team doesn’t only sell in waterfront communities, but they do hold a special place in my heart. 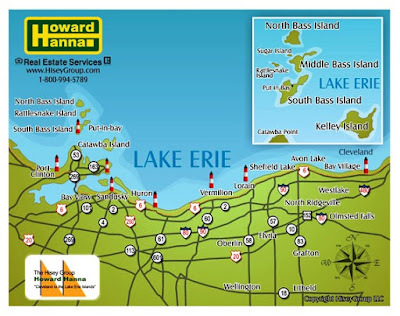 If you’ve been dreaming about owning a waterfront home contact/text me today at 440-315-6000 or leehisey@howardhanna.com. My team and I would be honored to help make your dream a realty.